In addition to CrossFit we offer a program called iQ FitCamp. This program is a cardio based workout composed of light weights and high reps. It's designed for those looking to burn more calories and fat while developing long, lean muscle. iQ FitCamp may be just what you are looking for! ∙ Thought that CrossFit too intense for you? · Worried that heavy weights will make you bulky? ∙ Been bored at your regular gym? ∙ Thought that a personal trainer too expensive? ∙ Gotten tired of training by yourself? Be Lean, Be Strong, Be iQ Fit! With many years of experience we’ve developed this program based on the understanding that CrossFit is not for everyone. 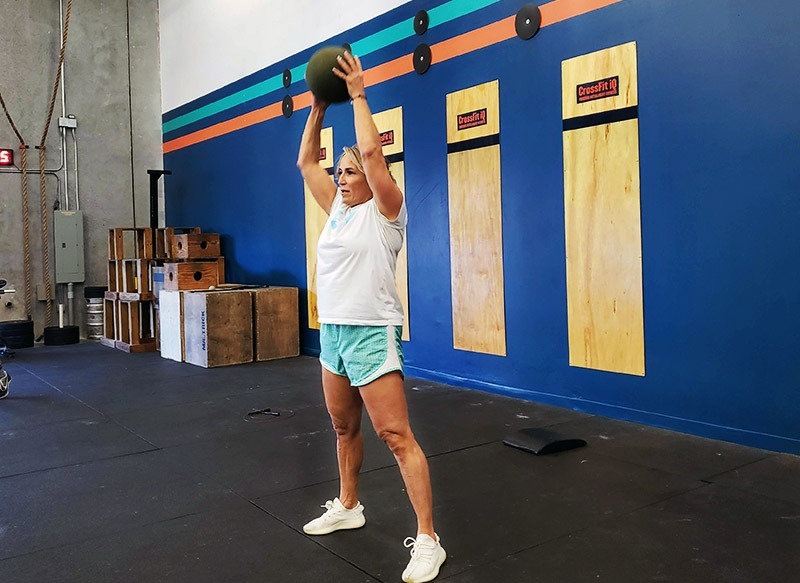 Although all CrossFit movements can be modified to fit your level of ability, we clearly understand that most people prefer a program that is designed to fit regardless of limitations. iQ FitCamp is exactly that! While keeping the weight light and the repetitions high, we are targeting specific muscle groups, burning fat, building long lean muscle and having a great time doing it. There is no pressure to race against the clock or lift heavier than you are capable of. The idea of iQ FitCamp is to have fun while getting in shape. Although these workouts are designed differently then CrossFit, they can be just as challenging.